As we proudly display on our logo, we have “a passion for quality”. 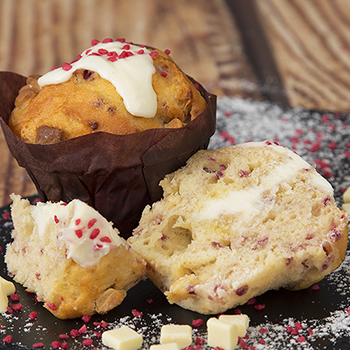 Be it small or large, value or indulgent, we do everything we can to ensure that all the muffins and scones we make are the best product they can be. As a company we are dedicated to meeting the needs of our customers through a continuous culture of listening, understanding and innovation. “The number one focus, every day, of ensuring that we satisfy our customers will create a viable, sustainable and profitable business” – Liam Coghlan MD. 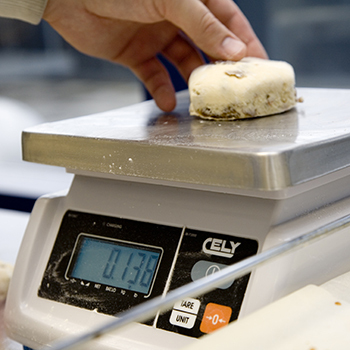 All of our products are batch baked with hands on care shown by our bakers. We use traditional techniques along with modern baking methods to enhance the quality of our products. 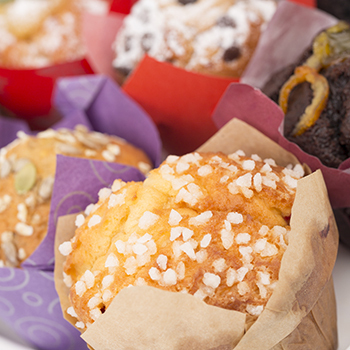 Our unique batch baking allows us the flexibility to change recipes, flavours and packaging options with every batch, providing the customer a range of options, from product shape and size, branding of boxes and paper case colours right through to case size and pallet type. All products are hand packed and inspected and are free from artificial colours and flavours – we work in partnership with a number of flavour houses to ensure the product you enjoy is natural and unique. The flavour profiles of our products are carefully selected to ensure subtle yet tasty natural flavours. Fruit inclusions are sourced direct from Growers and Individually quick frozen (IQF) to ensure that all the flavours are retained and are delivered to us in the best condition possible. From Nova Scotia to Italy, Ismir to County Down there is no where we won’t go to source the finest of ingredients. We do not rely on concentrates to produce our muffins nor our scones and produce all our mixes traditionally from scratch. This way we can ensure that the ingredients being used are of superb quality. We can also change our blends to suit our customer’s palate, target price and of course make sure that nobody else on the market has the same product.